others of life in Bushwick in the 1940s-1960s as outlined in Chapter 2.
area) where there were problems achieving an acceptable educational level. Bushwick in the 1980s, 90s and early 2000s is summarised. 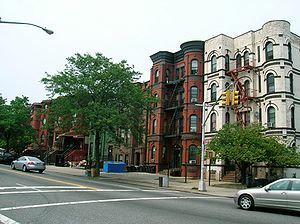 The 197a program (community planning system) under NYC administration was introduced to assist the revitalisation of areas such as Bushwick and surrounding Northeast Brooklyn. This planning system and how it was implemented in different ways within the three areas of Northeast Brooklyn is examined. adapt to becoming a sustainable community. Bushwick Reflections group hope to have some of this material available on this site soon. Dr. Ray Rauscher is an advocate for sustainable communities, community planning and ecologically sustainable development. Please express your interest in finding out more about the above material gathered over several years by Dr. Ray Rauscher and his colleagues through the comments section of this blog.